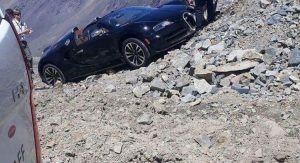 A Bugatti Veyron Grand Sport Vitesse has been left battered and bruised after crashing in the picturesque Andes Mountains. 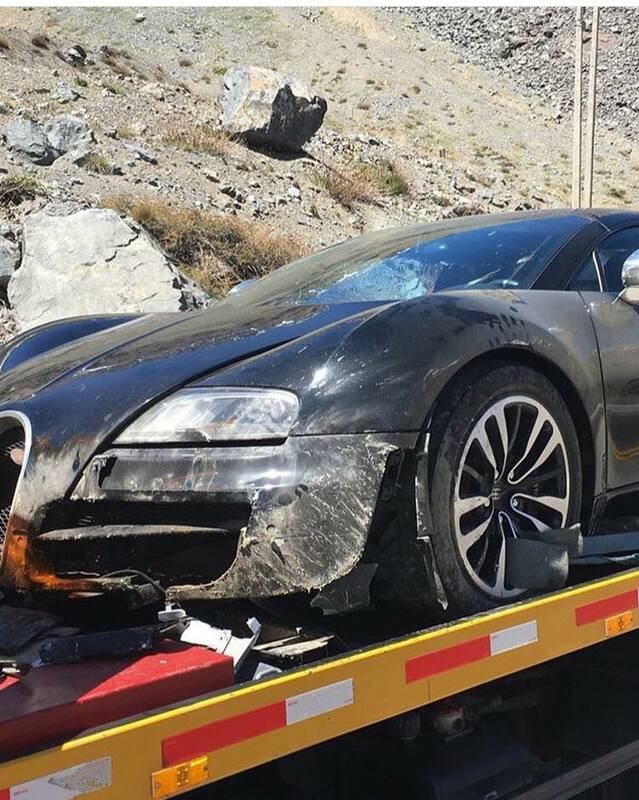 The crash occurred during the ongoing Bugatti Grand Tour where a host of Veyron and Chiron owners are driving through Argentina and Chile. 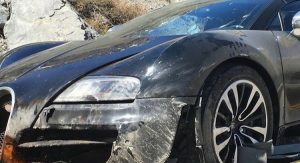 Reports assert that the driver of the French hypercar approached a corner too fast and speared off the road, coming to a rest on a rocky embankment. 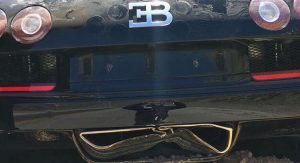 Unfortunately, the Veyron sustained some fairly hefty damage including crushed tailpipes, a broken grille and a front bumper that’s been utterly ruined. We don’t even want to think about the repair costs. Ironically, a McLaren F1 crashed late last year while taking part in a road trip organized by the British marque. 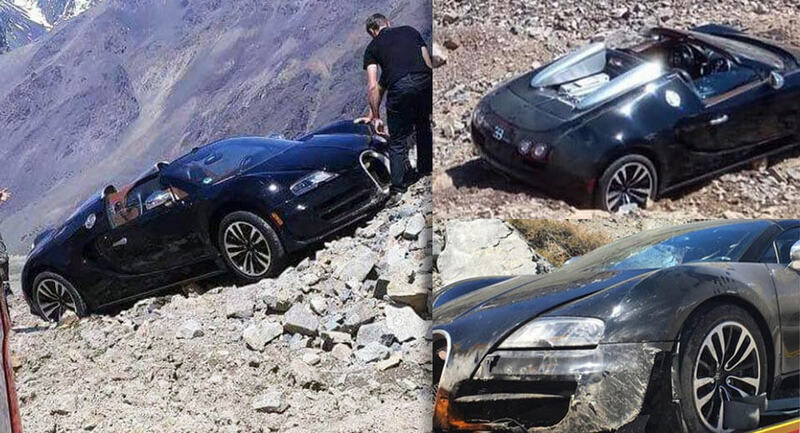 this is real proper offroading with a bugatti…. not like those guys in a woods few days back…. What kind of moron is that? 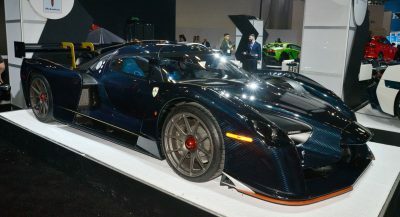 Moron for driving his hypercar instead of leaving it in a garage? OK he made a mistake and crashed but what doesn’t make him a moron. 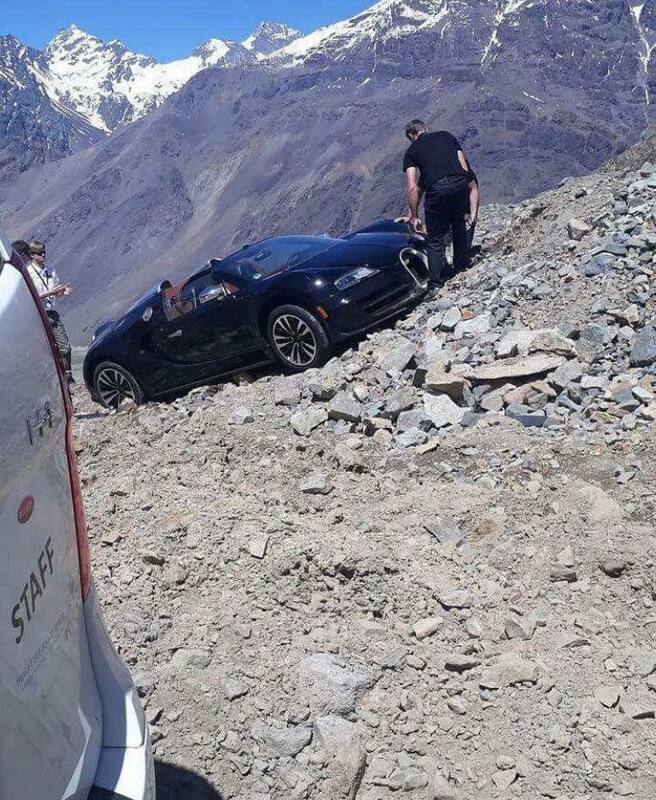 Moron for driving the hypercar on the road supposed for off-roader. 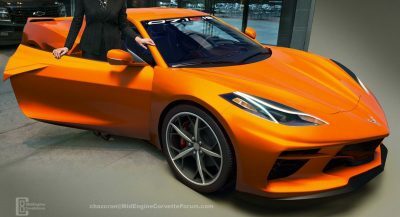 Moron for thinking this grand tourer hyper car as sports cars that can handle high speed turnings. Do you personally know the driver in question? You’re the moron here if not. What about this road is off-road? And even if it was, so what? He can drive his hypercar on any kind of road he wants as long as he does so safely. 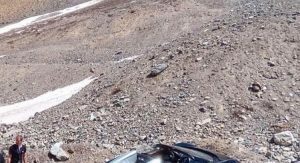 And just so you know, there are paved roads in the Andes. I would know because I spent 6 hours riding through one of them on my way to Machu Picchu..
Sure he can do whatever he wants to do. 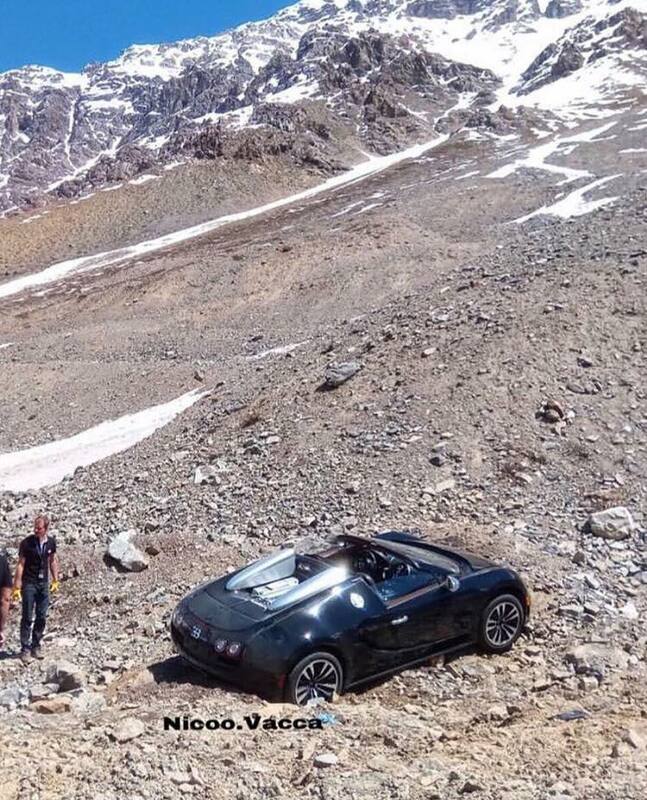 He can even just scrap his hyper car to show he is rich and doesn’t care. No argument for this. Are you slapping your face with this? I don’t understand your first sentence. Regarding the second, as I said, he made it mistake. It can happen if you push the car and aren’t very experience. Don’t be so quick to judge because you never know what can happen to you. I don’t understand the “ironic” part of the article. Where’s the irony? Meh, I’m sure it’ll buff out. Lucky for him he most likely has the money to fix it ,,cause it’s gonna be expensive …. Well, this ground clearance doesn’t really work… Back to the drawing board. FOUR WHEEL DRIVE YES, OFF-ROAD NO. This is crazy. 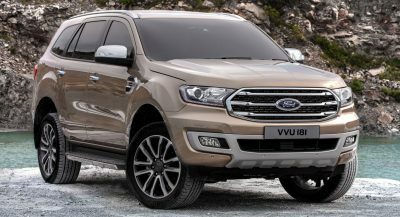 Peoples use SUV in cities and motorways where the capabilities of a SUV are not needed. 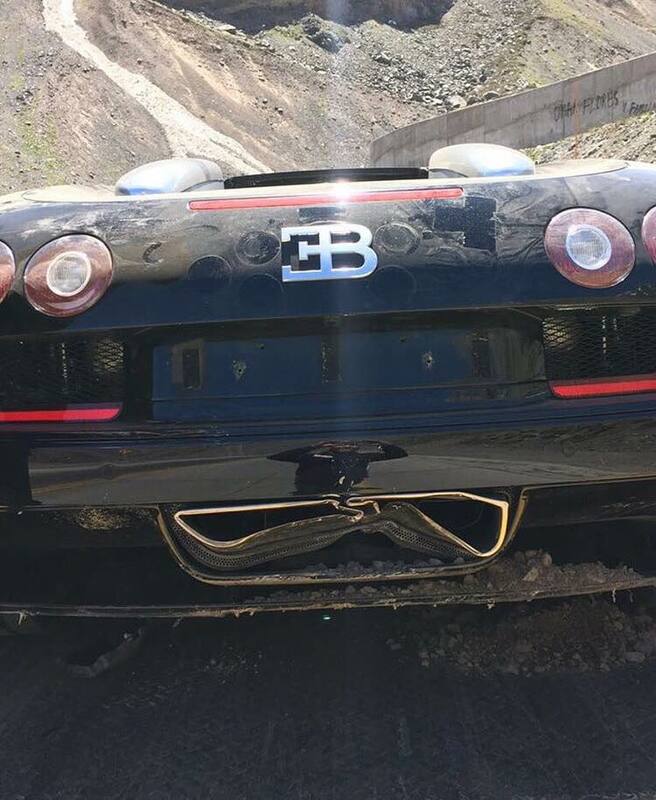 Peoples are using supercars in sandy mountain roads instead of motorways and racing tracks. Strange world! To be fair, considering where he stopped and where it happened the owner is lucky to be alive and the car still in one piece. I give kudos to him for driving it that way. Things happen when you use your car. This seems one case. 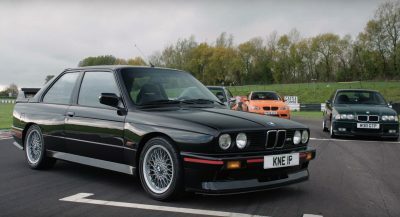 Narrow roads, lots of power, a lot of excitement and it takes one second.